Your little one will love putting their favourite companion in this Doll’s highchair for feeding. 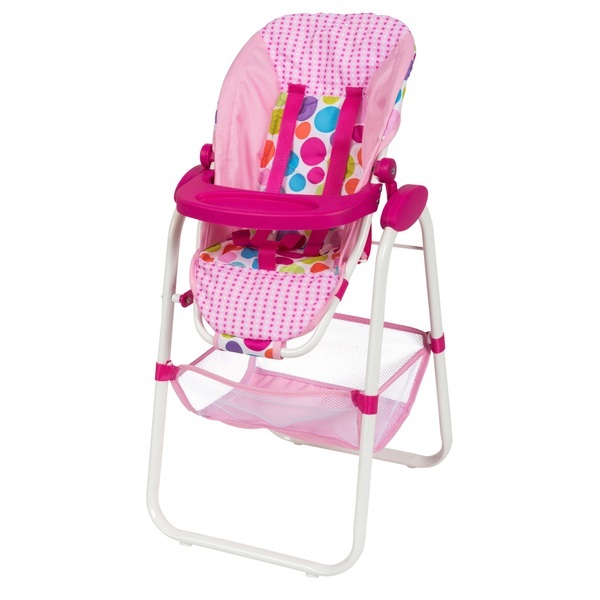 This toy highchair is pretty and sturdy and comes with a detachable table, basket and a belt to keep your child’s doll secure. This Doll’s Highchair is sure to give your child many hours of make believe and role-playing fun.